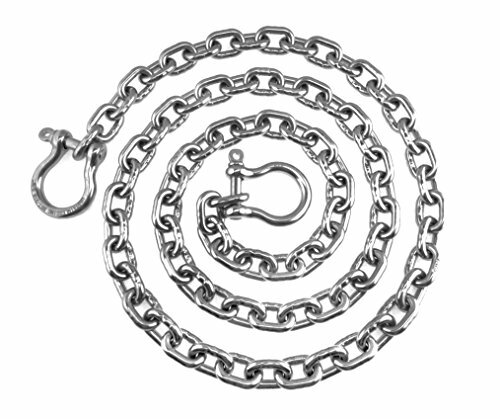 This 316 Stainless Steel Windlass Anchor Chain has the same specifications as ACCO 1/4" BBB and complies fully with DIN 766 and has dimensions of "BBB", which will also fit older style "BBB" anchor windlasses. This chain also replaces the Suncor S0601-0007. 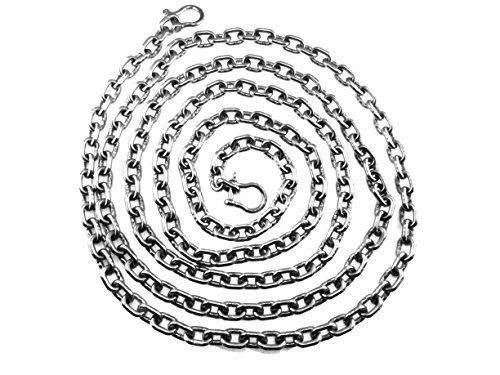 This is for a six (6) foot length of chain and includes two quality shackles. This is a quality, high grade, marine stainless steel (AISI 316) DIN766 chain suitable for use in a windlass as anchor chain or other marine applications where high corrosion resistance is desired. Superb for anchor chain and general heavy duty work in a marine or chemically harsh environment. This chain will fit many standard windlasses. Please consult your windlass manufacturer model manual for the ideal specification for your windlass. The 3 important figures for smooth running or your windlass is the Diameter (DIA), Inside Length (IL) and Outside Width (OW). More details are in the spec table below, this chain is 7*22*25 (DIA*IL*OW). As DIN766 is a metric specification we list the specs in mm, the imperial equivalent of this chain is 1/4"*0.86"*0.98". The link size is 7mm or 1/4" imperial equivalent. Every 3 feet links are hallmarked and stamped with 316. 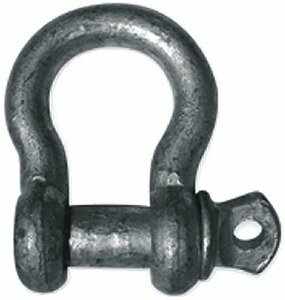 This 316 Stainless Steel Windlass Anchor Chain has the same specifications as ACCO 1/4" BBB and complies fully with DIN 766 and has dimensions of "BBB", which will also fit older style "BBB" anchor windlasses. This chain also replaces the Suncor S0601-0007. This is for a fifteen (15) foot length of chain and includes two quality shackles. This is a quality, high grade, marine stainless steel (AISI 316) DIN766 chain suitable for use in a windlass as anchor chain or other marine applications where high corrosion resistance is desired. Superb for anchor chain and general heavy duty work in a marine or chemically harsh environment. This chain will fit many standard windlasses. Please consult your windlass manufacturer model manual for the ideal specification for your windlass. The 3 important figures for smooth running or your windlass is the Diameter (DIA), Inside Length (IL) and Outside Width (OW). More details are in the spec table below, this chain is 7*22*25 (DIA*IL*OW). As DIN766 is a metric specification we list the specs in mm, the imperial equivalent of this chain is 1/4"*0.86"*0.98". The link size is 7mm or 1/4" imperial equivalent. Every 3 feet links are hallmarked and stamped with 316. 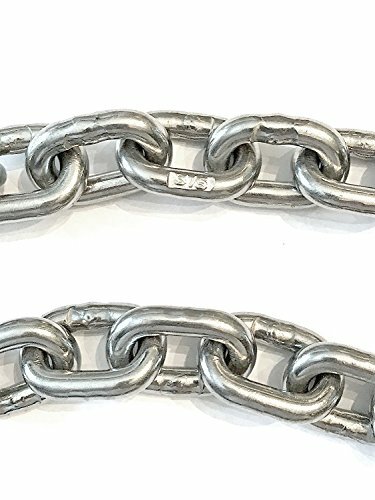 This 316 Stainless Steel Windlass Anchor Chain has the same specifications as ACCO 1/4" BBB and complies fully with DIN 766 and has dimensions of "BBB", which will also fit older style "BBB" anchor windlasses. This chain also replaces the Suncor S0601-0007. This listing is by the foot. Order the number of feet you require in the quantity box. Your chain will ship as that continuous length. This is a quality, high grade, marine stainless steel (AISI 316) DIN766 chain suitable for use in a windlass as anchor chain or other marine applications where high corrosion resistance is desired. Superb for anchor chain and general heavy duty work in a marine or chemically harsh environment. This chain will fit many standard windlasses. Please consult your windlass manufacturer model manual for the ideal specification for your windlass. The 3 important figures for smooth running or your windlass is the Diameter (DIA), Inside Length (IL) and Outside Width (OW). More details are in the spec table below, this chain is 7*22*25 (DIA*IL*OW). As DIN766 is a metric specification we list the specs in mm, the imperial equivalent of this chain is 1/4"*0.86"*0.98". The link size is 7mm or 1/4" imperial equivalent. Every 3 feet links are hallmarked and stamped with 316. New Anchor Shackle With Screw Pin acco Chain 8059205 7/16" Pin 1/2" dia. Max Load 3 000 lbs. : Embossed with load rating. Bulk. Galvanized. Imported. Kensington, The Professionals’ Choice for device security for nearly 25 years, has produced the latest standard in multiple-device security – the Desktop & Peripherals Kit 2.0. 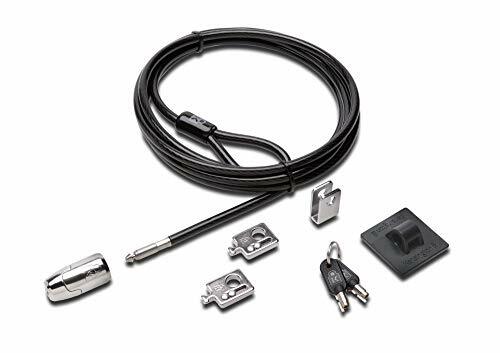 Engineered to be Kensington’s strongest lock for desktop PCs and other devices, the locking kit represents the next generation of desktop device security so you can lock down a computer, up to three peripheral accessories and a wired keyboard and mouse. 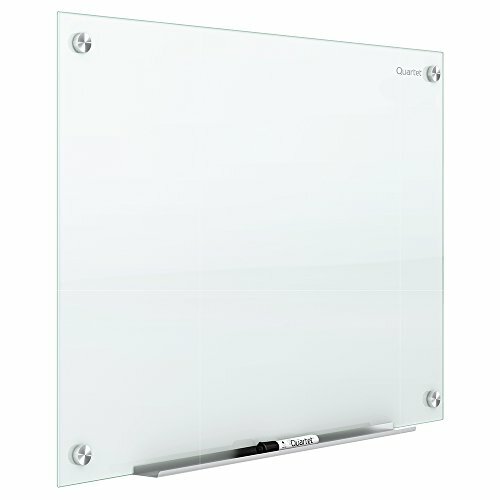 Quartet Infinity Glass Dry Erase Board blends versatile functionality with a modern upscale look. The frameless glass design appears to float on your wall, making it a focal point of your space. As this board is made with non-absorbent glass, you can write, erase and rewrite on a clean surface every time, without fear of stains or ghosting. This board is designed for long-term performance. The strong tempered glass surface resists scratches and dents, and is ideal for heavy use. Plus, the magnetic, steel-backed glass makes it easy to hang papers and documents instantly. Great for meetings and presentations. 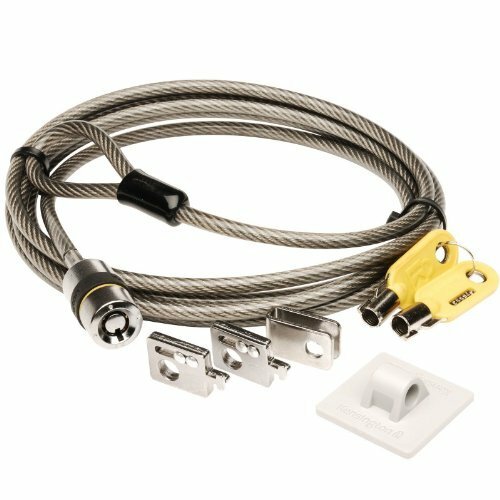 Installation is simple with the included pass-through mounting hardware. As the screws insert through the front, you can hang the board accurately and evenly. Mount it vertically or horizontally to fit your space. Board comes with limited 15 year warranty, a removable accessory tray, one marker and two high power glass board magnets for your convenience. Looking for more Acco Anchor similar ideas? Try to explore these searches: Safari Statue, Book Cliff Photography, and Interchangeable Toggles. Look at latest related video about Acco Anchor. Shopwizion.com is the smartest way for online shopping: compare prices of leading online shops for best deals around the web. 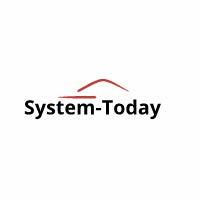 Don't miss TOP Acco Anchor deals, updated daily.